Binaca breath spray hasn't been cool for decades, which makes it just a handlebar mustache away from becoming the next hipster craze. But first, one thing needs to occur: hipsters must remember that Binaca exists. 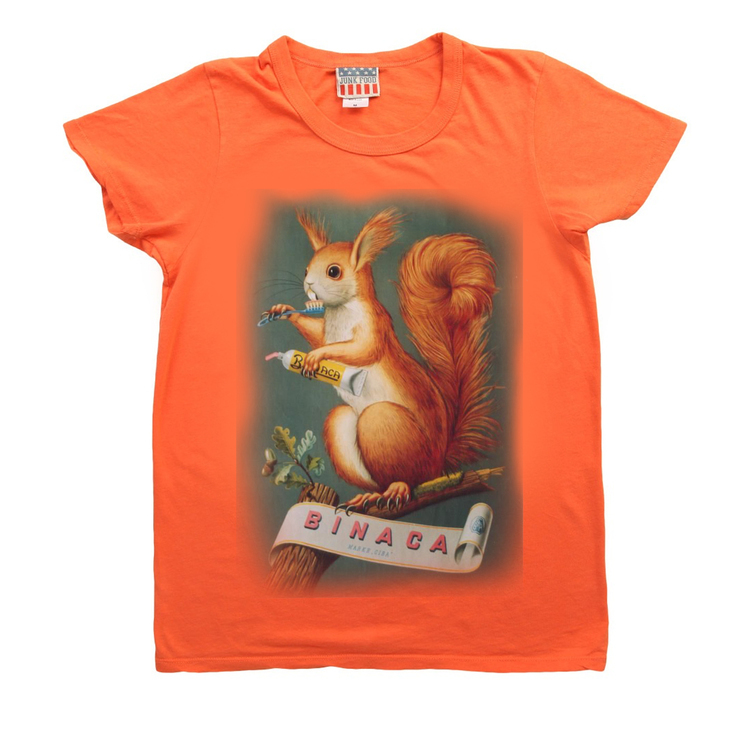 Let's help them remember Binaca — but with a subtle sense of irony and nostalgia that hipsters could truly appreciate. No website. No apps. No banners. No social media. Nothing traditional. The way to the heart of the hipster is not to sell them cool, from the top down. For Binaca to become cool again, it must develop organically, from the bottom up — through an ironic appreciation of its lack of cool. 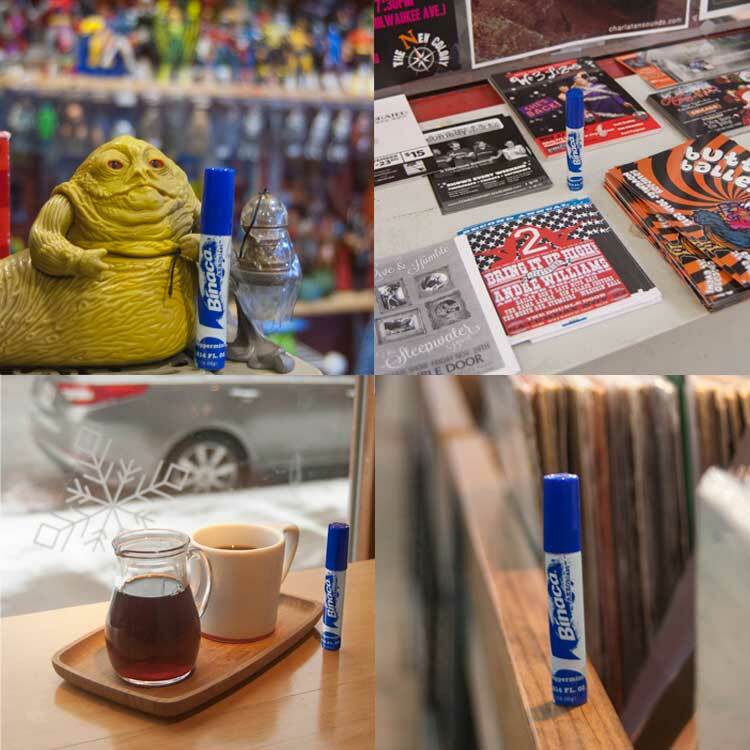 Cans of Binaca left behind "accidentally," in coffee houses, record stores, comic book shops, and kitschy toy stores, appear as if misplaced by their owners. We would partner with these businesses, to make Binaca available for purchase. 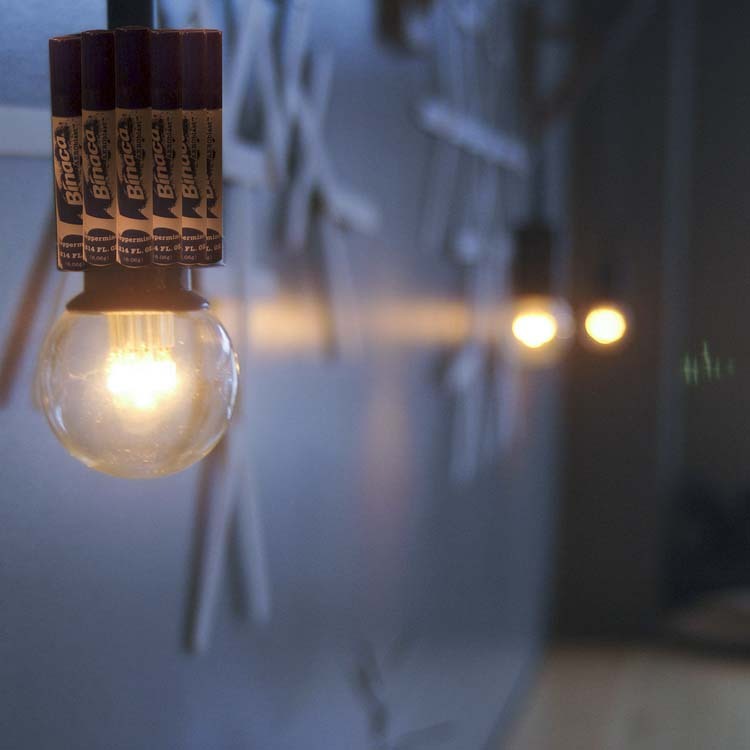 Hand-made crafts and artifacts, constructed from Binaca cans, in similar locations, are subtle reminders of Binaca's existence. An eclectic line of merchandise, using vintage Binaca branding, such as old logos, posters, and photos. A line of one-of-a-kind, hand-made Binaca cases, out of kitschy memorabilia from decades past, evokes a sense of nostalgia. Etsy store profiles, created under aliases, would sell Binaca-related merchandise. Our presence on the store would also encourage other Etsy designers and artists to develop their own Binaca accessories.